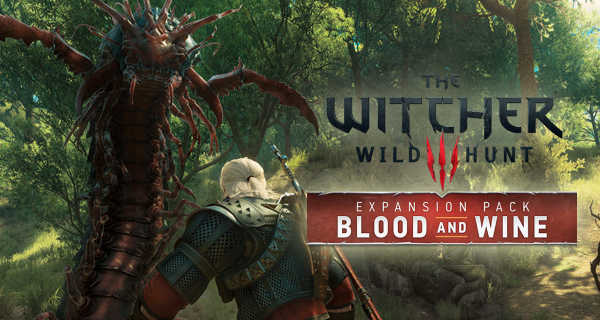 Witcher 3: Wild Hunt Blood and Wine, the second expansion for the The Witcher 3 Wild Hunt, will dawn upon us on May 31, 2016. Get to know what the expansion is all about in the game’s latest Dev Diary. The video is about 5 minutes long featuring the team of CD Projeckt RED. You will see and get to hear Marcin Blacha, the Story Director; Marcin Michalski, the Senior Environment Artist; Tomasz Marchewka, the Writer; Bartosz Ochman, the Living World Designer; Marta Dettlaff, the Concept Artist, LucJan Wiecek, The Environmental Art Director; Konrad Tomasziewicz, the game Director and Pawel Kapala the game Designer. Each one will give you bits and pieces of information about the game. First of all the location in Blood and Wine is completely different from all the other Witcher locations. Geralt will be exploring the open world of Toussaint which is a land of picturesque beauty full of vineyards. This is where the famous wines of the Witcher World like Est-Est and Erveluce is made. The seemingly peaceful place of Toussaint is marred by vineyard owners who are at war with each other, they even send thugs to attack their rivals. Bands of marauding thieves abound as well. These little mishaps in the town were generally fixed by the knights-errant who patrol the streets. One day a beast suddenly appears and kills the people in a strange and unnatural way. This beast is too much for the knights-errant to handle so the Duchess Anna Hennrietta summons Geralt to fix the problem. Pavel Kapala mentioned that there are a lot of new gameplay elements added to the game like mutations, new enemies, vineyards, armor dyes, new Gwent cards and new fist fights. Enemies here will also be harder. It will feature unique monsters that could only be found in this expansion. This is not just any fight but is “the fight” as mentioned by Thomasz Marchewka. Witcher 3 Blood and Wine DLC is set to bring massive amount of interesting gameplay to Witcher 3 Wild Hunt!